CBE-7 : Battery Eliminator for ICOM handheld radios. Fits radios such as IC-A21, IC-02AT, IC-H16, IC-2GAT, IC-32AT, etc. Enables operation of radio from a 12-13.8VDC socket. BP-202h: 7.2 volt 1800mAh long life rechargeable LONG LIFE NiMH battery for REALISTIC & Radio Shack & ICOM handheld radios, such as HTX-202, HTX-404, IC-2AT, etc. BP-202e : 7.2 volt 2100mAh NiMH ENELOOP battery for HTX-202, 404, ICOM IC-2AT, etc. BP-202e: 7.2 volt 2100mAh rechargeable Ni-MH battery for Radio Shack & Realistic HTX-202, HTX-404, as well as ICOM IC-2AT, 02AT, etc. Made with eneloop NiMH cells; arrives PRE-CHARGED & READY TO USE. 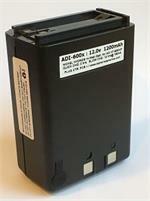 ADI-600x : 12.0 volt 1200mAh long-life rechargeable Ni-MH battery pack for ADI AT-600, HT-600, and Realistic HTX-204 radios. Provides High-Watt TX. 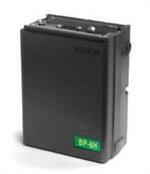 BP-7: 13.2 volt 700mAh rechargeable NiCd battery pack for ICOM & REALISTIC radios. Replaces original BP-7, CM-7, and CM-7G. Provides high-watt operation. CM-7G (aka BP-7, CM-7) : 13.2 volt 700mAh rechargeable Ni-Cd battery pack for ICOM IC-A20, IC-A21, IC-H16, IC-M5, IC-M1, IC-U2, IC-U12, IC-32AT, IC-12GAT, IC-02AT, IC-03AT, IC-04AT, etc (all worldwide versions). BP-7x : 13.2v 1200mAh long life Ni-MH battery pack for ICOM & REALISTIC radios. The BP-7x is a 13.2 volt 1200mAh Nickel Hydride rechargeable long-life battery pack for ICOM & REALISTIC HT radios, such as IC-02AT, IC-03AT, IC-04AT, IC-32AT, IC-2GAT, IC-A20, IC-A21, IC-12GAT, HTX-404, etc. BP-202exx : 7.2 volt 2550mAh NiMH Eneloop Pro battery for HTX-202, 404, ICOM IC-2AT, etc. BP-202exx: 7.2 volt 2550mAh READY-TO-USE rechargeable NiMH battery for Radio Shack & Realistic HTX-202, HTX-404, ICOM IC-2AT, IC-02AT, etc. Made with Eneloop PRO black 2550mAh NiMH cells; these retain their charge for over 1 year! 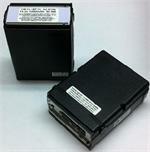 CM-7G : 13.2 volt 700mAh rechargeable Ni-Cd battery pack for ICOM. (aka BP-7). Fits ICOM IC-A20, A21, H16, M5, M1, U2, U12, 32AT, 12GAT, etc. Replaces original CM-7, CM-7G, BP-7, etc. 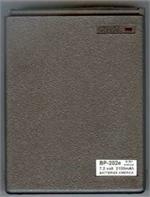 BP-202xh: 7.2v 2700mAh ultra-long-life Ni-MH battery pack for REALISTIC / RADIO SHACK HTX-202, etc. 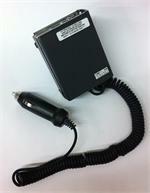 CM-7G (aka BP-7, CM-7) : 13.2 volt 700mAh rechargeable Ni-Cd battery pack for ICOM radios. IC-A20, IC-A21, IC-H16, IC-M5, IC-M1, IC-U2, IC-U12, IC-32AT, IC-12GAT, IC-02AT, IC-03AT, IC-04AT; Realistic HTX202, HTX404.